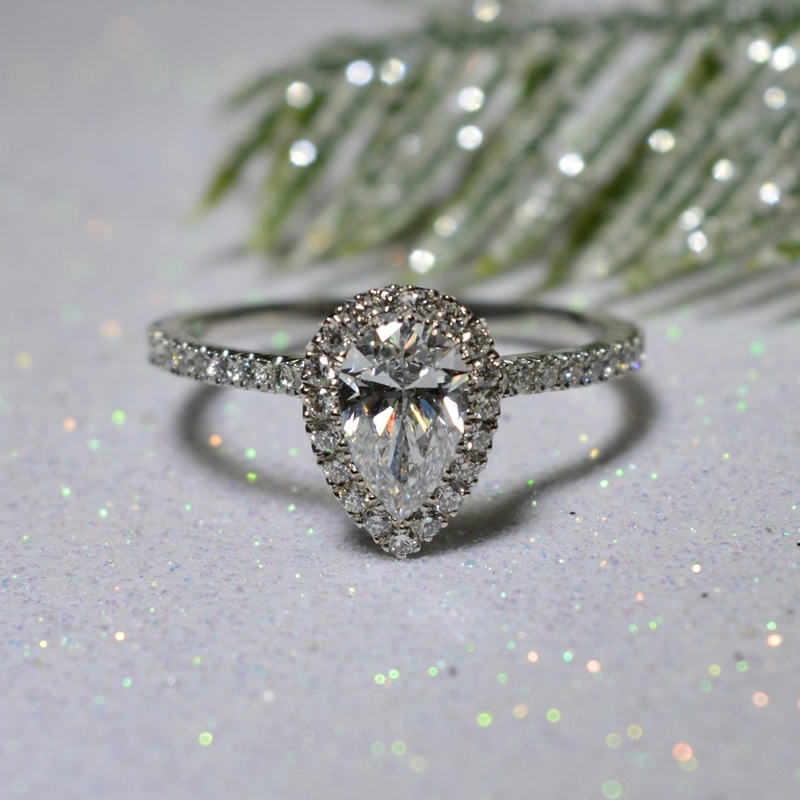 A platinum pear cut diamond solitaire ring, less commonly seen than a round brilliant cut but equal in beauty and sparkle making it a perfect choice for an engagement. 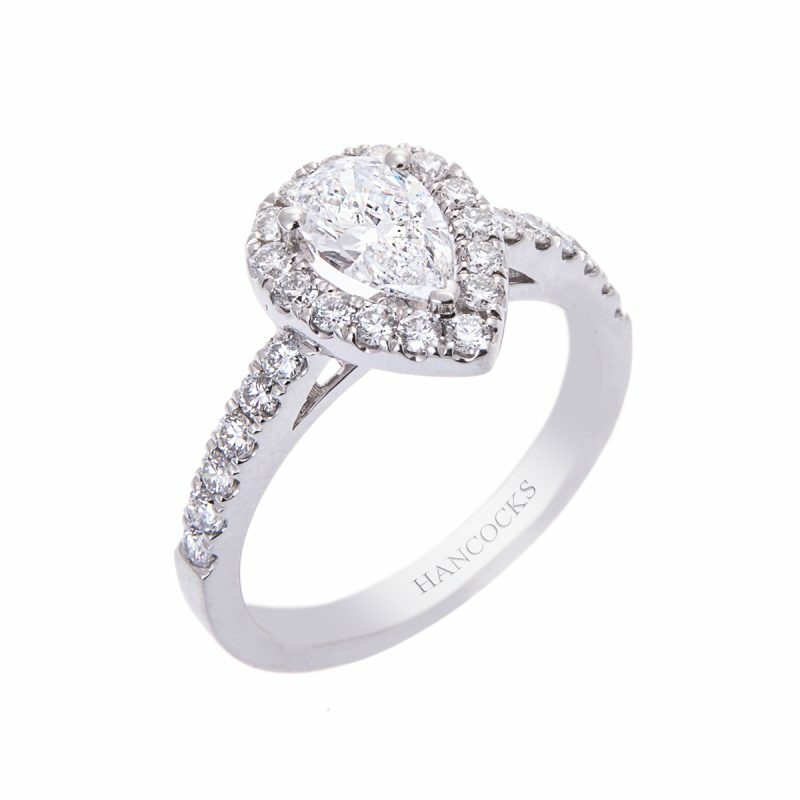 This GIA certificated 0.60ct solitaire diamond has been securely mounted in a platinum claw setting, with a halo surround of brilliant cut diamonds emphasising the profile of this stunning stone and showing the diamond in its full glory. 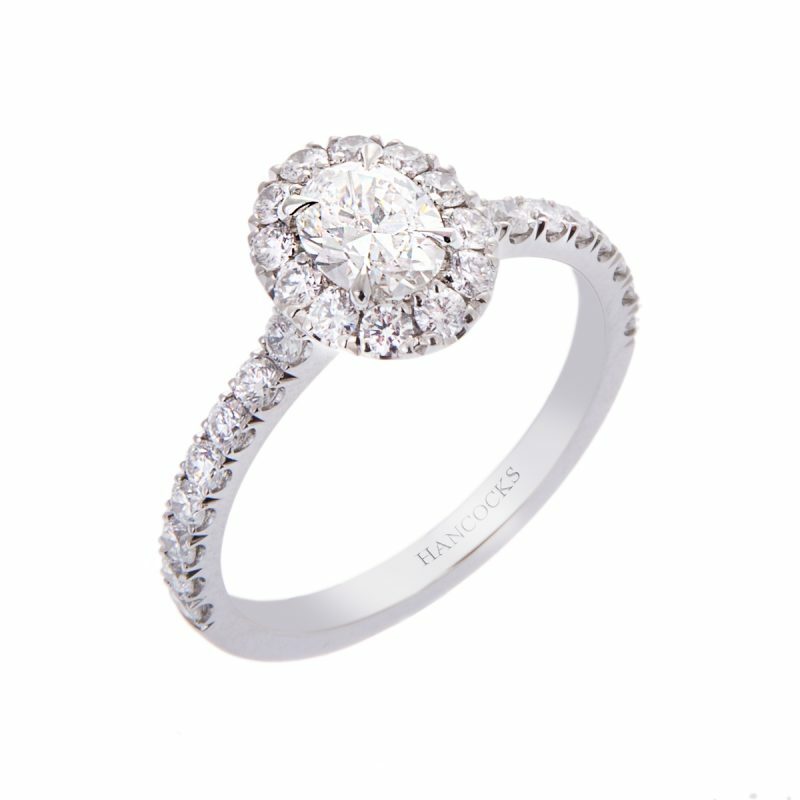 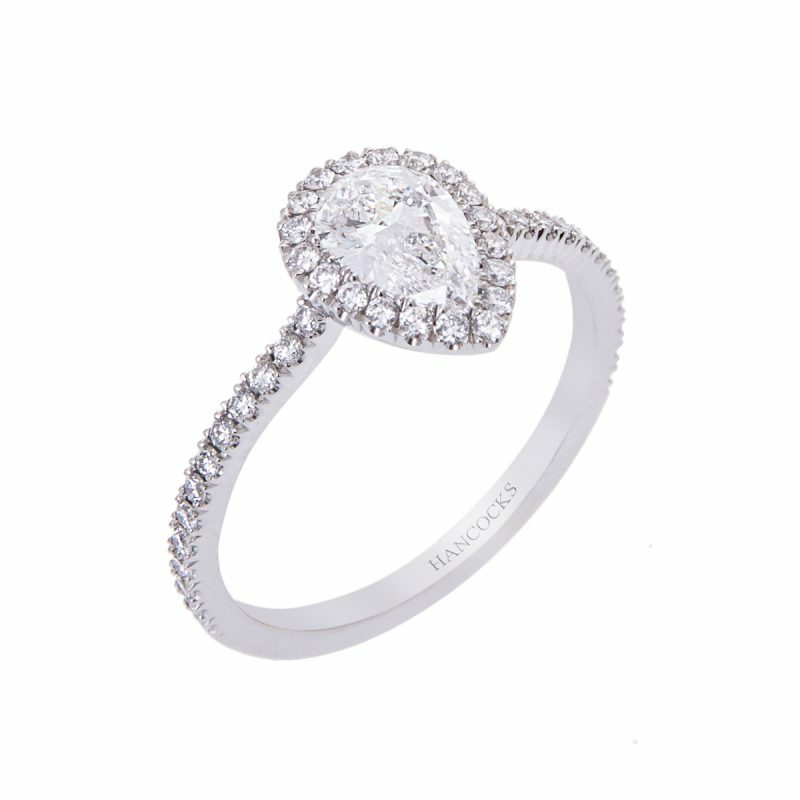 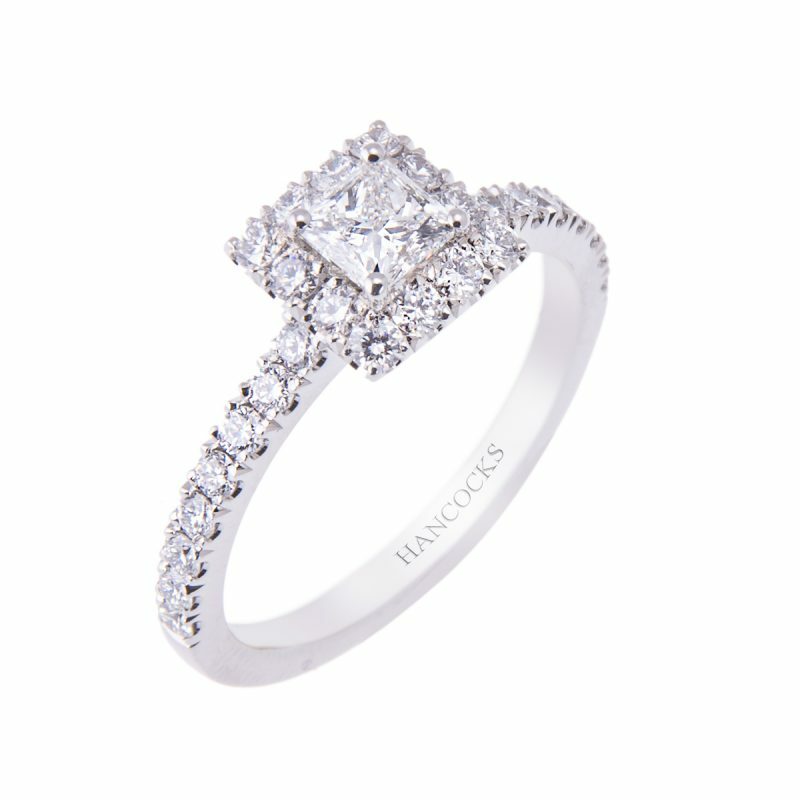 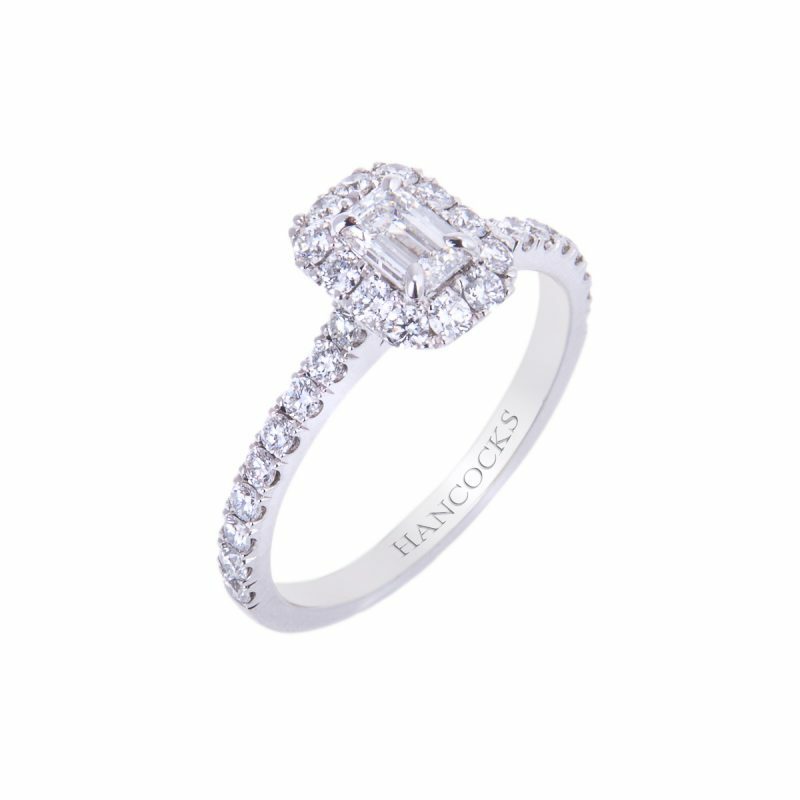 The detailing is continued with diamond along each shoulder, totalling 0.29ct of brilliant cuts.